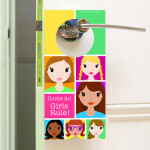 This girls rule door hanger is great for a girl who thinks that girls really are the best! It is a lovely gift idea and will look great in any girl’s bedroom. The door hanger is double sided so is very thick and robust. 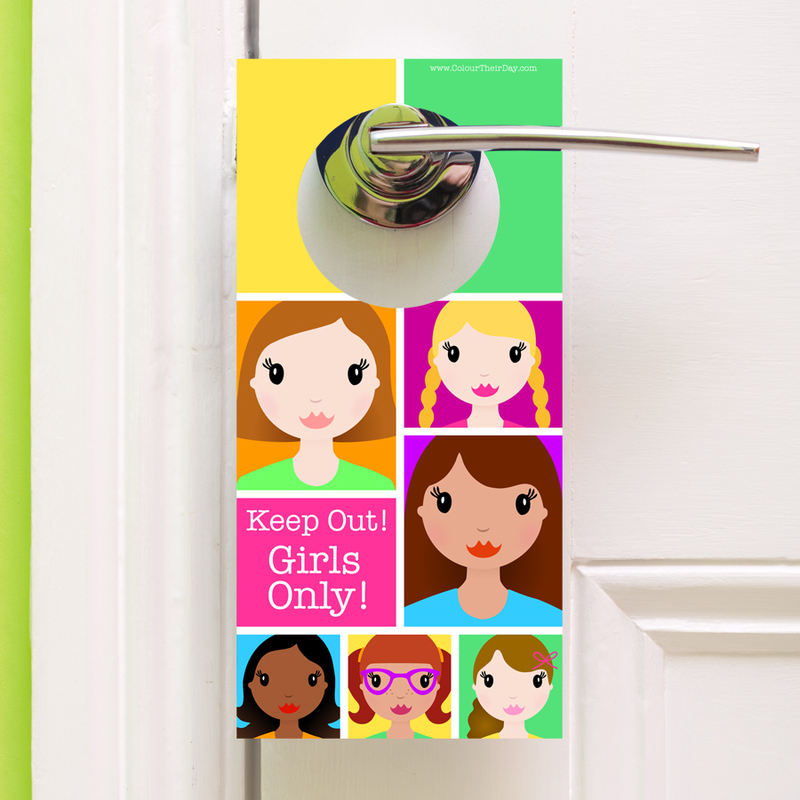 The design features six cute girl characters in coloured squares, with the text ‘Keep out! Girls only!’ on one side and ‘Come in! Girls Rule!’ on the reverse side. Which side will your child chose to display on their door? 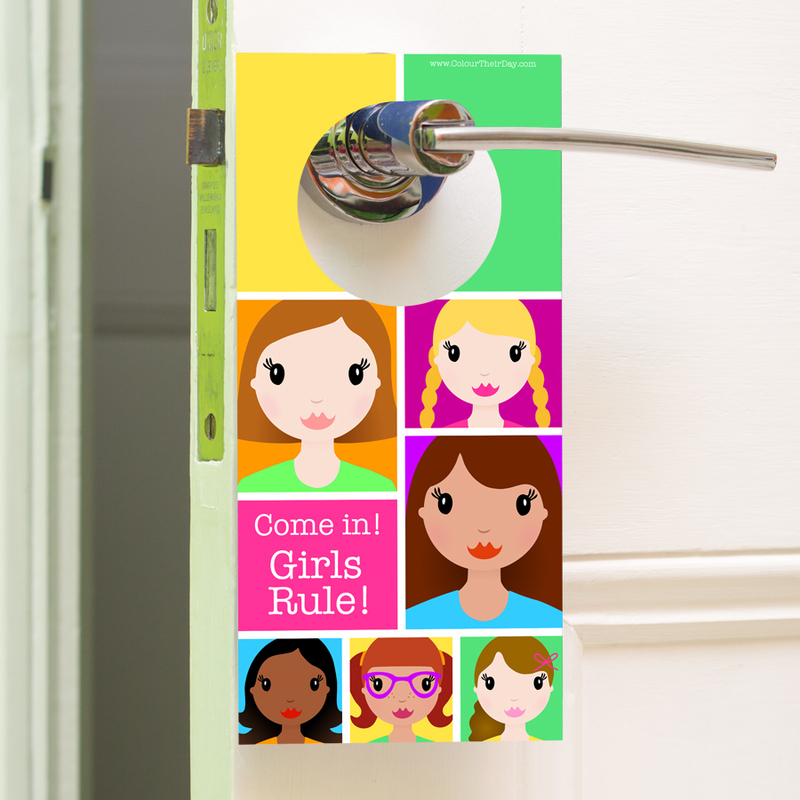 Be the first to review “Girls Rule – Double Sided Door Hanger” Click here to cancel reply.